No one, child or adult, has a bad time when they visit Boston's famous Museum of Science. Science and technology have always been strong suits in Boston, what with the Massachusetts Institute of Technology right across the Charles River in Cambridge. 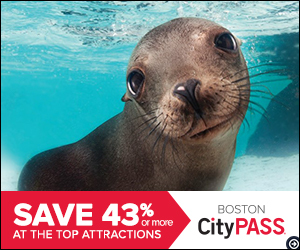 So it's not surprising that Boston was among the first cities to have a top-rated Museum of Science. It's located right on the Charles River Dam between Boston and Cambridge (map). Children are especially delighted here, for they can walk into a full-size model of the Apollo Command Module; they can play with a computer, see themselves on closed-circuit TV, and push buttons to start dozens of various exhibits and demonstrations ranging from fluid dynamics to the human circulatory system. Stand next to a replica of America's first rocket launcher built by Robert Goddard of Auburn MA in 1926; or walk around a tremendous replica of Tyrannosaurus rex. See how baseball pitchers throw a curve ball, and hear them explain their techniques. Watch the counter on the World Population Meter click off another birth every second or so. Learn how to make herbal textile dyes from common plants and weeds. Special exhibits include the Hayden Planetarium with celestial shows on various themes daily. There is an extra charge for the planetarium (buy your ticket early for this, when you enter the museum), and for the Omnimax theater. My personal favorite is the Van de Graaf Generator, which makes real lightning (thunderclaps and all) in a thrilling (and sorta scary) exhibit that no one ever forgets. My daughter got a little scared. I loved it! The Museum of Science has its own parking lot, with reasonable fees, so parking is usually not a problem. To get there by subway, take an MBTA subway Green Line train toward Lechmere to the Science Park station. Charles River Dam, Boston MA.